Lanette Compton is the Associate Professor of Horn at Oklahoma State University. She earned her Bachelors of Music Degree in performance from the University of Nebraska-Lincoln as a student of Allen French and her Masters of Music Degree in performance from the University of North Texas as a student of Dr. William Scharnberg. Lanette is presently a member of the Tulsa Symphony Orchestra, Tulsa Opera Orchestra, Symphony of North Arkansas, and has also performed with the Oklahoma City Philharmonic, Dallas Wind Symphony, Fort Smith Symphony, and Enid Symphony Orchestra. She is a member of the Quartz Mountain Music Festival Orchestra in Altus, Oklahoma and has been on the faculty of the Western Chamber Music Institute held at Western State College in Gunnison, Colorado. At OSU, Lanette directs an active horn choir that has performed at regional and international horn workshops. She also hosted the 2010 Mid-South Horn Workshop. Students in Lanette’s studio have made summer music programs such as Round Top Music Festival, Sarasota Music Festival, Eastern Music Festival, Hot Springs Music Festival, and Texas Music Festival. Lanette has performed on more than a dozen CD’s, including the critically acclaimed CD The Manne We Love: Gershwin Revisited featuring the Steve Houghton Quintet and the University of North Texas Two O’clock Lab Band. She has performed as soloist with the Camerata Chamber Winds, North Central Texas College Singers and the University of North Texas Wind Symphony. 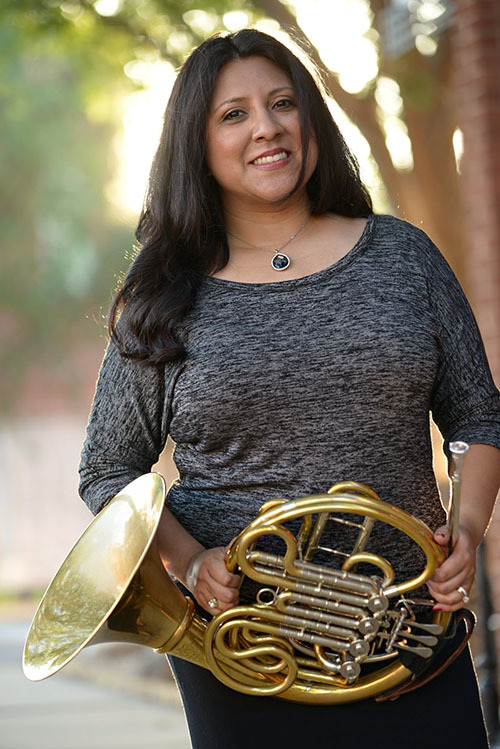 She has performed at the Mid-South Horn Workshop, Texas Music Educators Association Convention, College Band Director’s National Association Convention, World Association of Symphonic Bands and Ensembles Convention, and the American Bandmasters Association Convention. Lanette has performed for such artists as Luciano Pavarotti, Pat Boone, Diane Schurr, and Collin Raye.